Just in December (2017), at my cousin’s wedding, I never knew that my mother could dance so much. She has 5 sisters and even though she’s one of the oldest, she was by far one of the most active women. She is a teacher, Kathak dancer and loves life like nobody I have ever seen. She’s 66 and she enjoyed like there’s no tomorrow. We have many videos of her dancing too, and no one can believe that she is so unwell right now. I’m just so sad because she hasn’t been able to hold her granddaughter yet. After my father passed away in 2013, it was very hard for us to get on with our lives. In 2016, a year after I finally married the woman I love, my sister got married too and things were going well. Just about a month ago, on 3rd February, my sister gave birth to a baby girl and my wife and I decided to go meet her. My mother was alone at home for about 2 days which was totally manageable. But, I got a call from her saying that she was experiencing a lot of pain and was feeling breathless. I returned home immediately, and within no time, she was in the ICU of a hospital. After performing certain tests, we got to know that she had a major heart attack and she didn’t even know it! The doctors said that 80% of her heart was completely damaged and the rest has swollen up. This was shocking because if you knew my mother, you wouldn’t believe that she’s so critical and is in the ICU. Initially, I was really scared. The doctors back home in Bhubaneshwar told me that since she came in 3 days after the heart attack, no surgery could be performed. She could go home but needed an oxygen cylinder, a bypass machine, and a nebulizer. They said that with medications, she could only improve by about 5% if she was lucky. They said that her heart could fail anytime so I should just keep her happy, no other solution. When my father passed away, I felt so helpless. 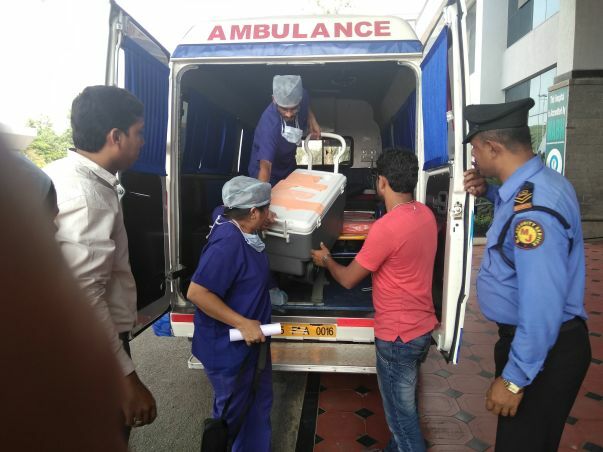 I felt like I didn’t do enough and before we reached the hospital he had passed away. It’s the worst feeling, which made me question myself for a long time. Now, I’m not going to take no for an answer and do anything possible to see my mother healthy again. So, I started doing some research and saw that a heart transplant is a possible solution. So, I started reaching out to hospitals, but many gave very expensive quotes of around Rs. 40 lakhs, complicated and things aren’t feasible. This was really disheartening. Just when all hope seemed lost, the NH hospital got back to me and the doctor was so helpful. I finally felt that I wasn’t alone in this fight and someone was helping me. He saw her reports, said that the transplant is possible and we could even put an artificial heart for 3 months to help her live. But then, after 3 months the transplant needs to be done immediately. Now, I got my mother to Bangalore, and she has been vomiting for 8 days and is feeling breathless too. To stabilize, she’s in the ICU right now. She really feels like the people of the hospital are like her family, they are so nice to her. She still gives the biggest smile ever, to me or to the nurses and doctors. But the fact is, she needs a heart transplant urgently. I need to arrange Rs. 12 lakhs for this and I just earn around Rs. 9,000 per month. I even have a wife I need to take care of. When I was young, my family has faced several financial crises. My mother went back to work as a teacher to help us out and now, I just want to do anything and everything to help her get the heart transplant and live. She worked hard to help my sister and me, and now, I want to do the same. She’s certainly the glow of our small family and now, she still has hopes of recovery. 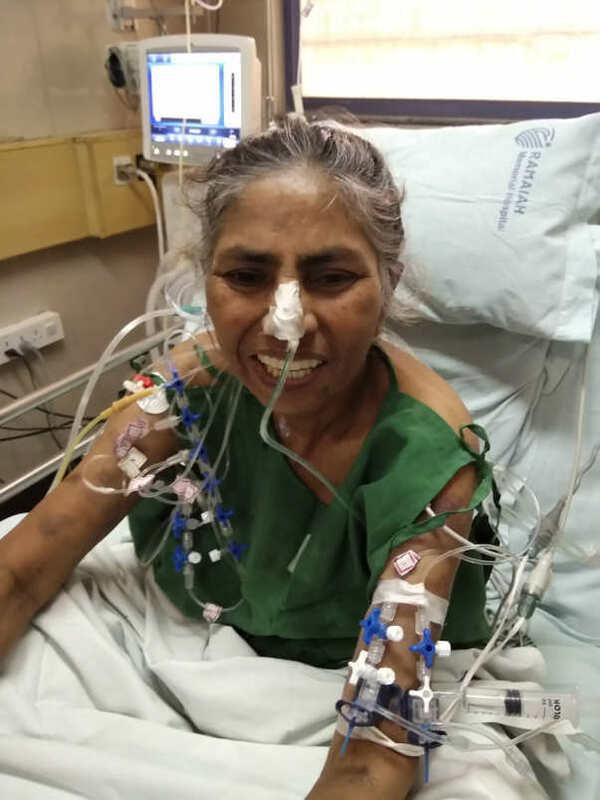 Aloka Nandini Mishra, a retired teacher, has damaged 80% of her heart. From what seemed like a lost cause, now, she has hopes of survival through a heart transplant. After exhausting all savings and resources, her son, simply, cannot afford the treatment and has no other option but crowdfunding. Now, he needs your help to save his mother. Your support will save Aloka’s life. She is getting discharge today, she is in much better condition now. We would like to thank all of you for the love and support. 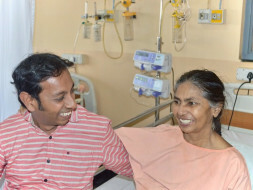 We'd like to inform you all that Aloka underwent a successful heart transplant surgery on 25th march. It was a nine hours operation, as of now, she is doing well but one of her vocal chords is not active which may be temporary, as the doctors are still looking into it. 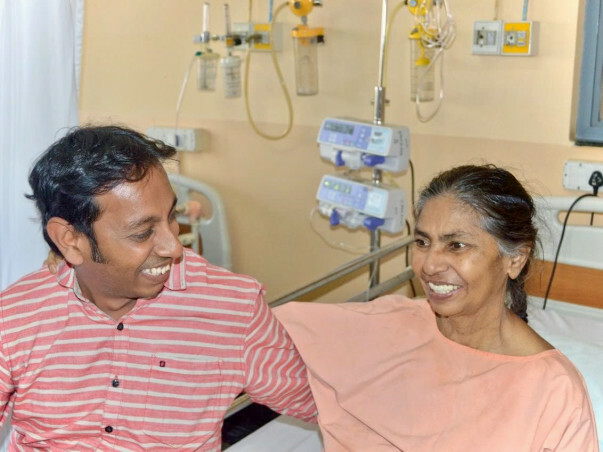 At this age, doctors were also surprised to see her will and termed the transplant nothing but a miracle. Aloka's heart was at an efficiency of 15% and could have failed any moment, this successful transplant has given her a new life. Doctors are suggesting that she might get discharged within this week, this couldn't have been possible without the support of you all. I sincerely thank each one of you for the love and support you have shown towards her. 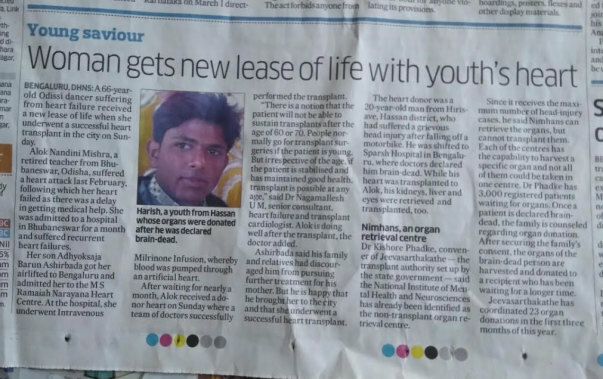 Thank you so much, I have attached few pictures including the coverage of the transplant by Deccan Herald.